The once very vague prospect of Sub-Saharan Africa turning into a bridgehead of fierce rivalry between the world's main Islamic extremist groups is now becoming a reality. Under increasing pressure from the anti-terrorist coalition in Syria and Iraq, Islamic State (ISIL) is searching for new territories in order to continue its extremist activities and preserve its position as the leader of the global Jihad. The organization is, therefore, determined to remove al-Qaeda from its traditional areas of influence. And there are already signs that it is succeeding. In 2015, Boko Haram, the most influential Islamic grouping in Nigeria and West Africa, swore allegiance to the ISIL caliphate. For months now, ISIL has been working tirelessly to get Somali Islamists from the Al-Shabaab group to join them. It is difficult to predict how relations between ISIL and these organizations will develop. There is no doubt that tensions are rising in the standoff between ISIL and al-Qaeda, both in areas of long-standing conflict and in new hot spots in Sub-Saharan Africa. The biggest threat to peace in the West African sub-region, and in Sub-Saharan Africa in general, is destabilization of the situation in Nigeria. Nigeria is Africa's most populous country (178 million people); 50 per cent of the population is Muslim and 40 per cent Christian, which generates a constant undercurrent of inter-faith tensions. It is the leading country in Sub-Saharan Africa in terms of GDP, a leader in the manufacture and export of oil (sixth in the world), the region's second most powerful country (behind South Africa), and an important trade partner for the United States, China and the European Union. Nigeria is also a member of the 15-country Economic Community of West African States (ECOWAS), as well as the African Union (AU). It is the dominant player in the security field in the region and one of the ten main suppliers of peacekeepers for UN missions. Boko Haram first leader, spiritual mentor and preacher of anti-Western views. Killed in 2009. Under his rule Boko Haram became an transnational terorrist organization, the deadliest in the world. Boko Haram was formed on the basis of the group "The Followers of the teachings of the Prophet and migrants," or "Young Muslims," founded in 1995 in Maiduguri (the administrative centre of Borno State in north-eastern Nigeria) by Abubakar Lavan as a purely propaganda-based Salafi movement. This area of Sunni Islam had taken root in the north of the country back in the 1970s–1980s. The vast majority of Nigerian Muslims are Sunnis. When Mohammed Yusuf took control of the movement in 2002 it officially became known as the "People Committed to the Propagation of the Prophet's Teachings and Jihad," but more commonly known as Boko Haram, which in Hausa means "Western education is forbidden." Mohammed Yusuf actively urged his supporters to fight for the eradication of secular education and the Western way of life, overthrow the government and create and Islamic state similar to that of Afghanistan when the Taliban was in control of the country. Nevertheless, many experts believe that he was not an out-and-out jihadist. 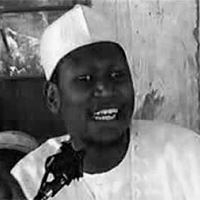 Following the death of Mohammed Yusuf in 2009 at the hands of the police, as well as that of more than one thousand members of the group and the arrest of several hundred more, Boko Haram, under the leadership of Abubakar Shekau, became an active terrorist organization spanning a number of countries. The group changed its tactics, with coordinated multiple terrorist attacks becoming its trademark and suicide bombers being used with increasing frequency. Its list of targets and territorial coverage expanded. Boko Haram's fighters went from carrying out attacks on police stations, army barracks, military bases, Christian churches and communities, bombing markets and raiding schools and colleges, often killing and kidnapping students to destroying entire villages, storming and capturing major cities and towns in north-western states and attacking the capital of Borno State Maiduguri. The victims of the terror attacks were mostly civilians – the terrorists did not discriminate by religion or ethnicity, killing women and children alike, Christian and Muslim elders, and religious leaders. A split occurred within the group in January 2012, when the new Islamic extremist organization called "Vanguard for the Protection of Muslims in Black Lands" (better known as Ansaru) rejected Shekau's leadership. While the aims of the two groups were essentially the same, the active rejection of Ansaru members led to mass killings of civilians, mostly Muslims and Muslim leaders. In June 2013, the Nigerian federal authorities declared Ansaru a terrorist organization and banned its activities. Boko Haram's terrorist activities have grown with each passing year. The kidnapping of 270 schoolgirls in Borno State on April 14, 2014 was covered by news outlets across the globe, with the Nigerian authorities coming under fierce criticism for their inability to find and free the girls. This forced the Nigerian government to recognize Boko Haram as a serious threat to the country. On May 23, 2014, at the request of Nigeria, Boko Haram was added to the United Nations Security Council list of designated terrorist groups. According to the Institute for Economics and Peace, in 2014, the group overtook ISIL in terms of the number of people it had killed (6,644 versus 6,073), with 77 per cent of their victims being private citizens. It also came in second behind Iraq in the number of people kidnapped (1,298). Since 2009, more than 20,000 people are believed to have been killed at the hands of Boko Haram fighters; 2.5 million people in the north-east of the country have been displaced from their homes; and 200,000 have been made refugees, fleeing to Cameroon, Chad and Niger. Boko Haram has become the most deadly terrorist organization in the world. In 2013, the group started carrying out terrorist attacks in the border regions of neighbouring countries (Chad, Niger and Cameroon). In the Far North Region of Cameroon, for example, a total of 1,098 civilians, 67 soldiers and three police officers have been killed as the result of 315 terrorist attacks. Abubakar Shekau openly threatened the presidents of these countries, warning them not to send military units to Nigeria to help the federal forces. In August 2014, Shekau, influenced by the success of ISIL, announced the establishment of a Caliphate in north-eastern Nigeria, with Gwoza as its capital. In March 2015, Boko Haram swore allegiance to the ISIL Caliphate and changed its name to Islamic State's West Africa Province (ISWAP). Experts agree that ISIL and Boko Haram have much in common when it comes to ideological foundations, religious tendencies and values, and strategies and the methods carrying them out. But there are some major differences as well. ISIL has shown that in addition to capturing territories, it can actually govern them, creating a hierarchical power structure and, thanks to their vast oil revenues and the money they receive from selling off monuments of historical significance, providing for the local population. The Nigerian extremists have neither the resources nor the necessary people to govern the so-called Caliphate. Some believe that the group does not have enough people to control the city effectively, and this is why they are not even attempting to set up an alternative administration. The territory controlled by the extremists has shrunk significantly as a result of increased military operations on the part of the Nigerian army and its allies in the anti-terrorist coalition. But the terrorist attacks continue, suggesting that the group is intent on capturing new bastions in Nigeria's north and central regions. Boko Haram was founded by the charismatic Mohammed Yusuf, who came from the Yobe state in Nigeria. During his time as leader, the movement was ideologically driven, and he was the spiritual leader, a preacher. Yusuf was educated in the West, and he used his scientific and technical knowledge (cellular communications and the internet) to spread his anti-western beliefs. Yusuf believed that the western model of education and western culture were dangerous and even blasphemous, because their basic ideas (the water cycle in nature, Darwinism, and the world being spherical, for example) were contrary to Islam. 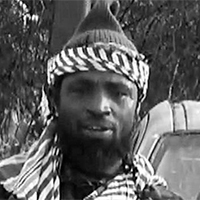 Abubakar Shekau, also a native of Yobe in Nigeria, is an ethnic Kanuri. 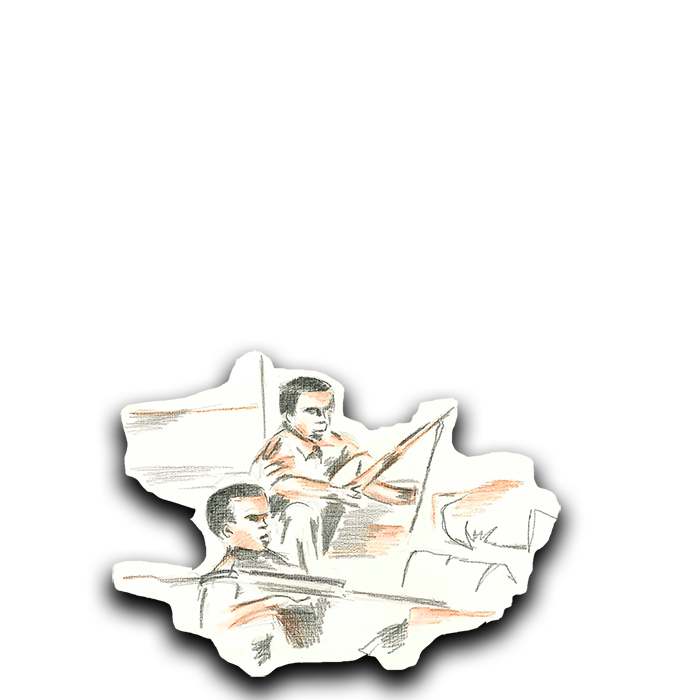 He was Yusuf's right-hand man before taking charge of the organization following the death of its leader. It is under Shekau's leadership that the military potential of Boko Haram has increased significantly. He and his supporters mainly speak in the Hausa dialect, which is spoken in the Sahel and is the lingua franca of Northern Nigeria. They constantly heap praise on historical figures who are revered in the Hausa–Fulani tradition, such as Usman dan Fodio, founder of the Sokoto Caliphate (1804–1903). Shekau has expressed solidarity with al-Qaeda and threatened the United States. In 2012, the U.S. Department of State added three senior Boko Haram members – Abubakar Shekau, Abubakar Adam Kambar and Khalid al-Barnawi – to its list of Specially Designated Global Terrorists. In 2013, it offered a reward of $7 million for information about Abubakar Shekau. The Nigerian law enforcement agencies have reported his death on a number of occasions. However, Boko Haram usually releases video clips, supposedly showing a healthy Abubakar Shekau, soon after such statements are made – although experts question the authenticity of the these clips. Stories have spread in the media, somewhat controversially, that these are either doubles of Shekau, or that Shekau is in fact dead and his name is used as a kind of "brand" by Boko Haram. It is extremely difficult to get objective information on the leadership, structure, number of members and ethnic makeup of Boko Haram, as the organization has a network structure whose individual parts interact little with one another. Current data suggests that its number of fighters fluctuates between 4,000 and 6,000, although other sources say the number is in excess of 9,000. In the 2000s, 90 per cent of Boko Haram's members were ethnic Kanuri living in Nigeria's north-eastern states and in the border regions with Cameroon, Chad and Niger. Recently, the ranks of Boko Haram have been, and continue to be, bolstered by soldiers from Chad and Niger, as well as by fighters from Mauritania, Somalia and Sudan, who have become the core of the group's attack force. In addition, many young people are joining the organization, university graduates who have succumbed to Islamist propaganda and/or who have found it impossible to find a job. According to the Nigerian government, the Islamists have developed a plan to radicalize and recruit young people studying abroad. Social networks are widely used for this purpose. By November 2014, Boko Haram controlled a territory of more than 20,000 square kilometres in Nigeria – almost the whole of Borno State and parts of Adamawa and Yobe, as well as sections of border regions in Cameroon, Nigeria and Chad where the group's military bases were located. A joint military operation to liquidate the group led by Nigeria, Chad and several neighbouring countries has succeeded in reducing the territory controlled by Boko Haram. In early 2015, the capital of the Caliphate, Gwoza, was taken, along with a number of other major cities. Support for the organization is mainly found among the people of remote, poorly developed and economically unattractive north-eastern regions that have relatively small populations (by Nigerian standards). Boko Haram has been able to take advantage of the dissatisfaction of the predominantly Muslim population in the north with their extreme poverty and high unemployment (between 40 and 80 per cent of young people in Borno, Yobe and Adamawa), as well as the economic and political marginalization of the north-eastern regions of the country, the substandard government and the unprecedented level of corruption among the elites. The growing indignation of these people was caused by the inability of the army to protect them and the subsequent abuse of power structures when cleaning territories of extremists – for example, extrajudicial punishment, killings and arrests of innocent people. However, the quality of life after the establishment of the Caliphate has plummeted even further, with rigid forms of Sharia law being put in place, children being abducted, and systematic killings being carried out – primarily of the heads of municipalities and government officials, but also of religious leaders and young people who do not share the views of the insurgents. The population is deprived of the basic necessities for life in an urban environment: 54,000 people in Borno State are on the verge of dying of starvation because Boko Haram are not allowing humanitarian aid convoys to enter the region. The north-east of the country has collapsed economically as a result of trade and transport links with neighbouring regions being cut off and the fact that the extremists have established a price control system. This has all led to support for Boko Haram in the north-east dropping off significantly. While Boko Haram has never been an official branch of al-Qaeda, it has worked closely with the organization in the past, particularly with its representatives in Somalia – Al-Shabaab, al-Qaeda in the Arabian Peninsula and al-Qaeda in the Islamic Maghreb. Boko Haram's relationship with these groups has included joint military exercises and training programmes, as well as providing mutual logistical and financial aid. Boko Haram was the first militant group in Africa to declare its allegiance to Islamic State, and has been calling for Al-Shabaab to do the same. As a way of proving its loyalty to ISIL, Boko Haram reportedly sent as many as 200 of its troops to Libya to help ISIL fighters there. The group has also started to emulate Islamic State's intimidation methods, releasing video clips showing public executions of defectors. Boko Haram finances its activities in a number of ways: taking money from local merchants; arms smuggling; money laundering; through rich sponsors (senators and businesspeople from the north-eastern states); controlling certain drug trafficking routes in Europe and West Africa; developing financial ties with individual branches of al-Qaeda; and now with financial help from ISIL. On May 17, 2014, a meeting in Paris of the heads of state of Benin, Cameroon, Nigeria, Niger and Chad and attended by representatives of the United States and the European Union, approved a unified plan of action for fighting the Islamists that includes intelligence coordination, information sharing, central management of funds, border surveillance and maintaining a military presence in the Lake Chad area. The plan also allows for the possibility of military interference. In March 2015, the African Union approved the formation of the Multinational Joint Task Force comprising some 8,700 troops from Nigeria, Niger, Cameroon, Chad and Benin. The Task Force will be led by Nigerian Major General Iliya Abbah. The United States has sent 300 of its troops to Cameroon to carry out intelligence-gathering operations and pass this information on to the combined contingent of West African countries. The United States has pledged $45 million, and the European Union 10 million euros, to help African countries in the fight against Boko Haram. The African Union and its international partners are now focused on consolidating the success that they have achieved and increasing the impact of collective action against Boko Haram. In the near future, we can expect to find out what Boko Haram is truly made of in terms of its military potential and its strategy as a whole. It may weaken significantly, but this does not mean that the extremist organization, which has already taken control of the Sahara-Sahel region of Sub-Saharan Africa, will disappear completely. The real danger can be felt in the Central African countries that have committed to joining the fight against terror. Boko Haram is a complicated problem, and one that cannot be solved by military means alone. It is just as important to implement a soft approach strategy to the fight against terrorism in an environment where traditional Islam is becoming less and less attractive for the disadvantaged Nigerian youth against the backdrop of the increasing influence of radical Islamist sentiments in the Arab world, which is trickling down from North Africa and the Middle East to Sub-Saharan Africa. In order to avoid turning into a regional foothold for terrorism, Nigeria needs to introduce deep reforms aimed at overcoming the socioeconomic and political marginalization of the northern regions, eliminating what is the second-highest gap in living standards between the rich and the poor (after South Africa) and tackling the problem of mass unemployment and chronic poverty. 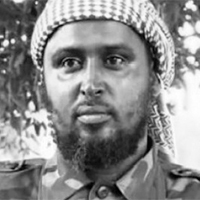 Founder of Al-Shabaab as youth national liberation movement incorporated with al-Qaeda. Killed in 2008. Head of organization since 2014. Continues affilation with al-Qaeda. Second person in the organization, intelligence chief. Led the attack on the University of Garissa. 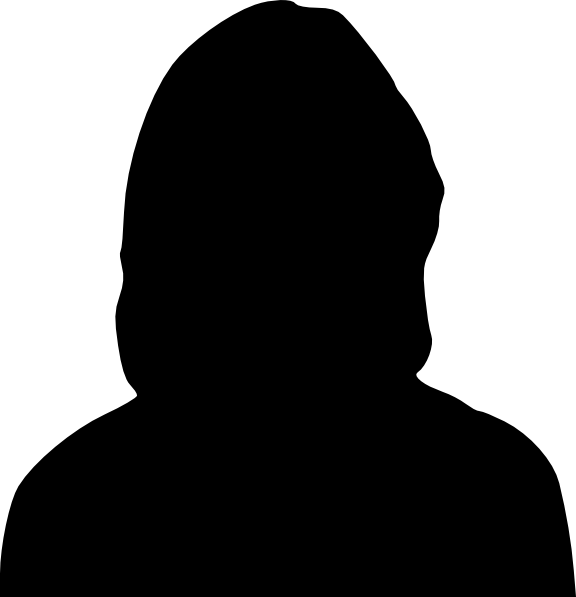 Killed in 2016. The Al-Shabaab "(Mujahideen Youth Movement") Salafi group was founded in 2004 by Aden Hashi Farah Ayro, graduate of an al-Qaeda training camp in Afghanistan and Minister of Defence of the Islamic Courts Union (ICU), which formed the basis for the group. It was not religion that guided the movement, but rather ideas about the national struggle for liberation. The ICU was against Ethiopia's interference in the decades-long Somali civil war on the side of the Transitional Federal Government. For several months in 2006, the ICU controlled almost the entire country, including the capital of Mogadishu, something that no rebel group had been able to do previously. It was overrun by the end of the year, however. Al-Shabaab was the main successor to ICU. After its appearance, it proclaimed its goals to be the liberation of the country from foreign troops, the establishment of an Islamic state based on the principles of Salafism, and the spread of true Islam throughout the Horn of Africa and beyond. 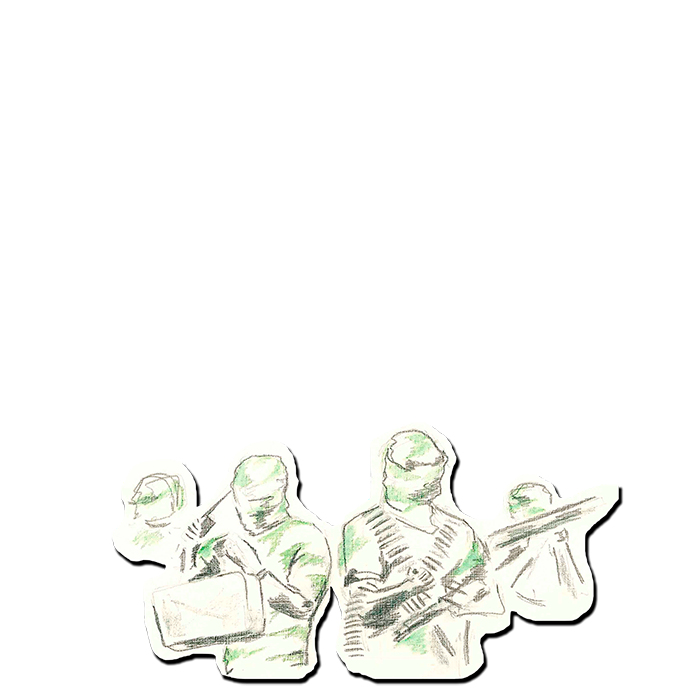 Ever since its inception, the group has been noted for its differences on ideological and tactical issues, as well as for its inter-clan struggles for leadership within the group. A number of experts believe that there were two fighting factions within al-Shabaab. One was in favour of limiting the group's activity to Somalia, while the other faction insisted that the sphere of its activity should be expanded beyond the borders of the country. It was the latter that emerged victorious. Al-Shabaab's terrorist activity in 2010–2015 proved that the Somali conflict had spread geographically and had now become a problem for the entire region. In addition to Somalia, Kenya, Uganda and Djibouti all became involved. The numerous terrorist attacks in Kenya came after the country's leadership unilaterally decided to send troops to Somalia in late 2011 to fight al-Shabaab and after Kenyan troops had been included in the African Mission in Somalia (AMISOM). The most infamous of the group's activities were the 2013 Westgate shopping mall attack in the Kenyan capital of Nairobi (killing 67) and the Garissa University assault (killing 147 and wounding another 79). Al-Shabaab formally joined al-Qaeda in 2012, which allowed it to expand its operational capabilities, diversify its tactics and obtain additional financing. The affiliation with al-Qaeda has led to divisions within the ranks of al-Shabaab. Al-Shabaab militants have used the tried and tested terrorist tactics of suicide bombers, snipers and land mine warfare. The targets of these attacks have been soldiers, police officers, and other terrorist organizations competing with al-Shabaab for territory and resources. There have been numerous attacks on the base African Mission in Somalia, for example (in 2009 and 2015 – early 2016). The war against the government has mostly consisted of bombing hotels in the capital city where high-ranking government officials are staying, or planting bombs in their cars. According to the National Consortium for the Study of Terrorism and Responses to Terrorism in the United States, al-Shabaab committed 497 acts of terrorism in 2014 killing 1092 people. Somalia ranked eighth in the 2015 Global Terrorism Index. Aden Hashi Farah Ayro completed his military training at al-Qaeda camps in Afghanistan in the 1990s. His name was already known in Somalia in connection with Islamist attacks on foreign employees of international humanitarian organizations. He led the military operations of the group in Mogadishu from March 2007. 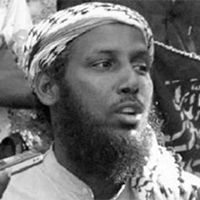 U.S. intelligence agencies claim that Ayro simultaneously headed the Somali al-Qaeda cell. 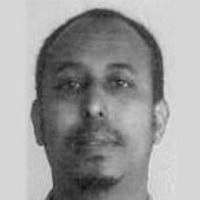 Following his death in 2008, the organization was led until 2014 by Ahmed Abdi Godane, better known as Mukhtar Abu Zubair, a native of the self-declared state of the Republic of Somaliland. Like his predecessor, Zubair was killed as the result of a U.S. drone strike in September 2014. 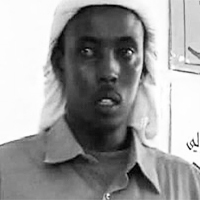 Since then, al-Shabaab has been led by Abu Ubaidah (Direye). Second-in-command of al-Shabaab and head of intelligence was Mahad Karate, also known as Abdirahman Mohamed Warsame. Karate played a key role in the Garissa University assault. He was killed on February 8, 2016 in an airstrike carried out by the Kenya Air Force on the group's base in southern Somalia. Another 52 militants were killed in the strike, 10 of whom were mid-level commanders. Ma'alim Daud is involved in recruiting and training new soldiers, and planning and carrying out the group's terrorist operations against Somali troops and foreigners. Hassan Afgooye is in charge of raising money to finance the activities of al-Shabaab. Maalim Salman is in charge of al-Shabaab's foreign fighters and carries out attacks on tourists and churches. Ahmad Iman Ali is responsible for bringing young people from Kenya into the group. Al-Shabaab is a heterogeneous organization. It includes a number of factions formed according to clan principles and ideology. These factions constantly fight for influence within the organization, a result primarily of the clout that clans wield in Somali society. There are between 8,000 and 10,000 al-Shabaab fighters, including foreigners – "veterans" of the wars in Afghanistan who were members of Osama bin Laden's organization – from Sudan, Saudi Arabia, Egypt, Pakistan and Yemen. Although al-Shabaab was forced to leave Mogadishu and the surrounding area in 2011, it still controls vast territories in southern and central Somalia. Following the example of Iraqi radicals who had proclaimed the Islamic State of Iraq in the Sunni provinces of the country, al-Shabaab declared the establishment of the "Islamic Province of Shebelle". A communique released by the group emphasized that the province of Lower Shebelle had been occupied by their forces at the invitation of the local people to put an end to the activity of gangs, which had imposed taxes in entrepreneurs and ordinary citizens. A list of names of the people who would make up the new administration was published, including governor, the heads of the departments of education, propaganda, security, justice and finance. In the areas controlled by al-Shabaab, street theft and smash-and-grab raids became things of the past. Active propaganda work among the local population also yielded results for the group, as the youth began to see al-Shabaab as a real political forces capable of guaranteeing stability in the region. The organization was able to maintain strong positions in south-west Somalia because a number of people from the local Rahanweyn sub-clans that controlled the provinces of Bay and Bakool had joined its ranks. The Islamists were able to retain their influence in Lower Shebelle by forming an alliance with the radical Ras Kamboni Brigades, which had a heavy Ogaden clan influence. However, by destroying sacred Sufi places – pilgrimage sites, the tombs of Sheikhs symbolizing the polytheism of the Sufi tradition – the members of al-Shabaab gradually turned the local population against them. They further weakened their positions when they banned the activities of international humanitarian organizations during the drought and famine of 2011. In 2012, the radicals were driven out of the strategically important ports of Kismayo and Merca, which had been used to send goods to other territories controlled by the group, import food and weapons and finance their operations through the collection of taxes. By late 2013, al-Shabaab had left the cities and towns, but the group still controls vast territories and rural areas in southern Somalia. Al-Shabaab has long maintained close ties with al-Qaeda branches in Yemen and North Africa, as well as with Boko Haram. 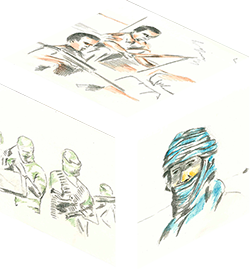 The fighters from these groups conduct joint training exercises, develop terrorist tactics together and organize financing for their operations. ISIL has stepped up its activity in the area of late, however, in an attempt to take control of Northeast Africa. ISIL is trying to expand its sphere of influence by setting up branches in Somalia, a state that effectively has not existed for many years, but which occupies a strategically important position geographically. Somalia has the longest coastline of any continental African country. It borders a number of countries that are allies of the United States (Ethiopia, Djibouti and Kenya) and has a broad social base for recruitment – a potentially convenient base for the further promotion of the Caliphate. But the terrorist niche in Somalia has already been filled by al-Shabaab, whose leaders have warned that if any of their members decide to defect to ISIL, they will be executed for apostasy. The leaders of al-Qaeda are also seething. Ayman al-Zawahiri has already stated that the ISIL Caliphate is being built in defiance of the methods of the Prophet. The United States added al-Shabaab to its list of terrorist organizations in 2008. Islamic State's activity in the area is troubling for the United States, which for years has been pumping hundreds of millions of dollars into Somalia to help the government and the regional military forces fight extremists. According to Under Secretary of State for Arms Control and International Security for the U.S. Department of State Rose Gottemoeller, ISIL is trying to insert itself into Somalia in order to move into Kenya." Despite the numerous attempts of the United States and other Western countries to support the official Somali government and restore public institutions, the country continues to be mired in chaos. Russia is concerned about the coordinated actions of al-Shabaab and other radical organizations in Africa and its desire to establish links with ISIL. As a permanent member of the UN Security Council, Russia will participate in international efforts within this structure to provide comprehensive assistance to Somalia. ISIL propaganda in Somalia has already born fruit. The influential Muslim spiritual leader Abdiqadir Mumin pledged his allegiance to the group. He was soon joined by 20 of his followers, who had been inspired by his actions. Observers have commented that ISIL is taking control of Somalia by way of a successful PR campaign, rather than through bloodshed. The Kenyan cleric Hussein Hassan, who was once aligned with al-Shabaab, also announced his decision to join ISIL. The Somali media reported that Dulyadeen, one of the organizers of al-Shabaab's assault on Garissa University in eastern Kenya had sworn his allegiance to ISIL. This could be a huge blow to al-Shabaab, as Dulyadeen had great influence in north-eastern Kenya. At the moment, it is unclear in which direction al-Shabaab will turn. For the moment, it remains loyal to al-Qaeda. There are still many unanswered questions with regard to what ISIL moving into Somalia would mean – either al-Shabaab fighters will change their tactics, or the new group will simply become a means of carrying out warfare between rival clans or jihadist groups. The group finances its operations through taxes it levies on all kinds of economic activity in the territories under its control, as well as a military tax. It also earns money by carrying out robberies, kidnappings for ransom and smuggling. In addition to al-Qaeda, al-Shabaab receives financial support from several sources, including sponsors in the Persian Gulf, particularly Saudi Arabia and Yemen, as well as from Somali nationals living in the United States, Canada and Western Europe. In December 2009, the UN Security Council imposed sanctions on Eritrea for the military, technical and financial support that its rebel military troops were providing in southern Somalia, including to al-Shabaab. Several pirate groups based in and around the Port of Kismayo share their profits with al-Shabaab. Effectively, the international community has put its faith in AMISOM in the fight against al-Shabaab. The organization has been able to carry out a number of successful anti-terrorist operations jointly with government forces. AMISOM has practically doubled its military contingent since 2007, bringing the number to 17,000 soldiers, as a direct result of a resolution adopted by the UN Security Council in February 2012 to expand the scope and scale of the mission. 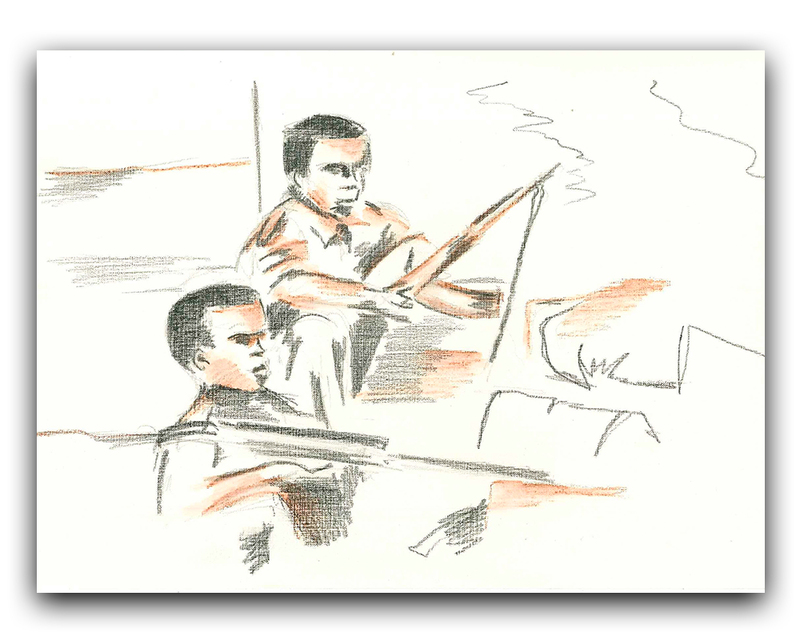 Al-Shabaab was forced out of its main strongholds in Somalia, but maintained control over a number of rural territories, carrying out frequent bombings and using guerrilla tactics. Thus, despite moderate military success, it has become clear that simply increasing the number of peacekeepers in Africa is not sufficient to solve the problem of al-Shabaab. The European Union has increased its financing of AMISOM to this end to 165 million euros, while China will contribute $2.2 million. The President of Somalia expressed his concern at the Munich Security Conference in February 2016 that "global terrorism covers a large part of Africa, as well-known terrorist groups with roots in the Middle East are expanding their networks in the region, which concerns us greatly. The terrorists are tightly knit, so organized in their joint activities that the world has to be just as organized in order to fight them." The president of Nigeria and Kenya announced that they would be coordinating their efforts bilaterally and multilaterally in order to combat terrorism. The President of Nigeria Muhammadu Buhari said that a new comprehensive strategy for fighting extremism and terrorism had to be developed, that their ideology and actions must be countered through activities based in education, moderation and tolerance. "The Defenders of the Faith"
Ansar al-Dine founder. Started as moderate nationalist, became a follower of Salafi. 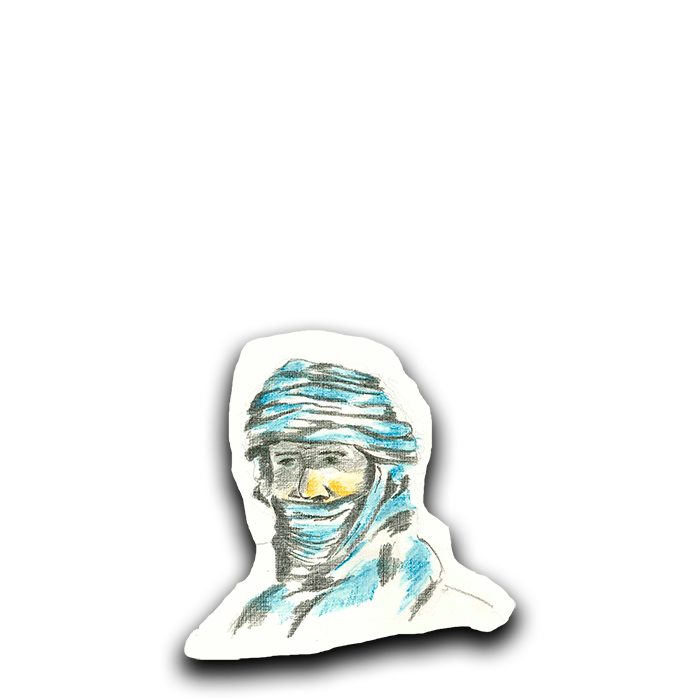 Ansar al-Dine is an Islamic terrorist group of Tuareg people founded in Mali in 2011 by Iyad Ag Ghaly. Initially, it worked with the National Movement for the Liberation of Azawad (MNLA), the main anti-government force to establish control over the country's northern territories. However, by the time the leaders of the MNLA declared the establishment of the Independent State of Azawad, friction between the supporters of the group that had by now positioned itself as a secular association, and the former brothers-in-arms of Islamic extremist group fighters (including those from Ansar al-Dine and al-Qaeda in the Islamic Maghreb, among others) escalated into a vicious armed confrontation. Unlike the Tuareg people in the MNLA, they wanted to seize power of the whole country and force the people of Mali, 90 per cent of whom are Sunni Muslims – followers of the traditionally moderate form of Islam – to live according to Sharia law. This was first declared by Tuareg Islamists from Ansar al-Dine who drove MNLA supporters out of Timbuktu on April 2, 2013 and then set about terrorizing the local population, punishing them severely under Sharia law for smoking, drinking, etc. The Jihadists destroyed parts of pre-Muslim and Muslim holy sites and objects (tombs, manuscripts, etc.) in Timbuktu – UNESCO world heritage sites – that they deemed to be contrary to true Islam. By July 2012, the entire territory of Azawad was under the control of the Islamists. 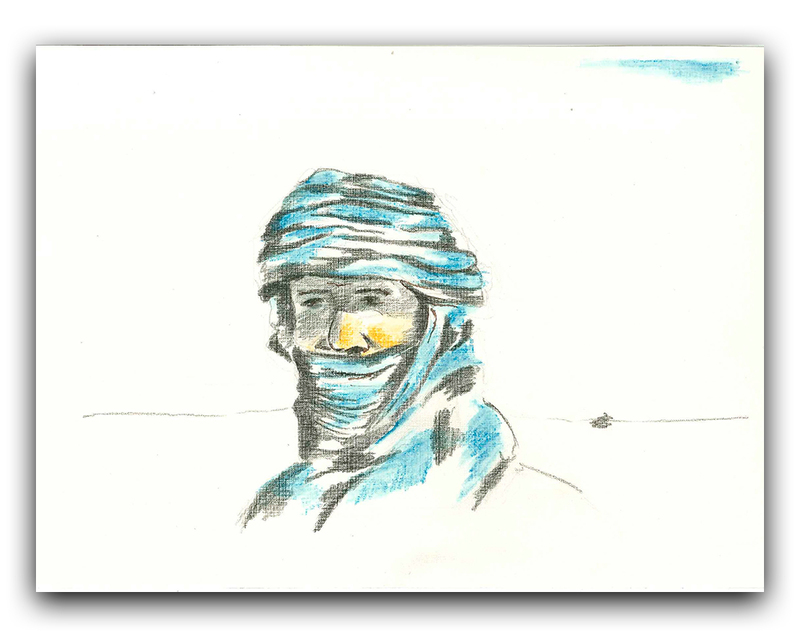 Ansar al-Dine, which had around 1,500 members in its ranks at the time, controlled the strategically important city of Kidal along with other groups of Tuaregs. In January 2013, they came up against superior France–Mali forces and Operation Serval, which forced them to retreat from all major cities in the north of the county and take refuge in hard-to-reach areas. They suffered heavy losses and their operational capabilities were severely undermined. 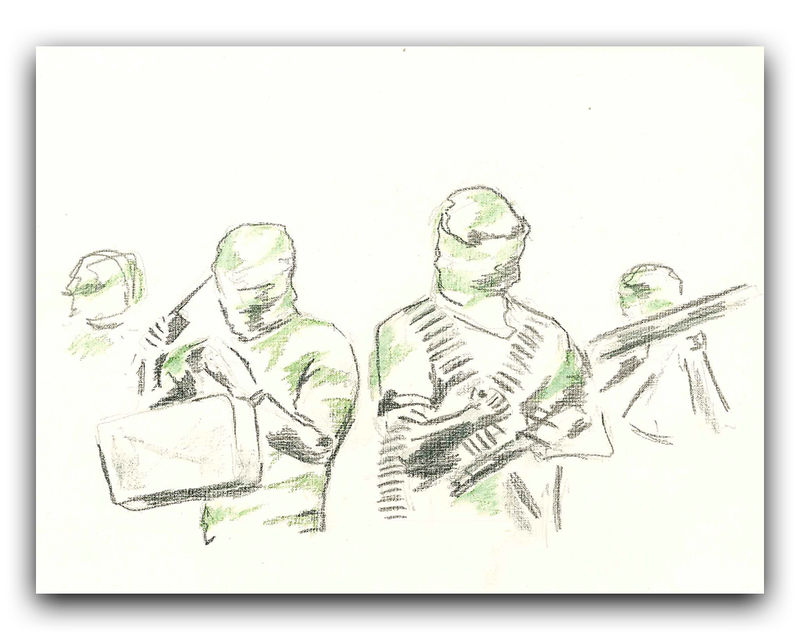 The Ansar al-Dine militants turned to guerrilla tactics and sabotage warfare to counter the French military units and troops from the United Nations Multidimensional Integrated Stabilization Mission in Mali (MINUSMA). In May 2014, however, the insurgents entered Kidal once again. The only thing that is known about Ansar al-Dine's activities in the last two years is that their militants attacked the MINUSMA base in Kidal on two separate occasions (in November 2015 and February 2016). Iyad Ag Ghaly has changed his views on a number of occasions. 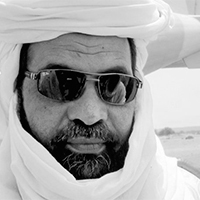 Initially, he called for Azawad to be an autonomous region within Mali and held moderate nationalist views. He then became a follower of Salafi and founded Ansar al-Dine, maintaining close ties with al-Qaeda in the Islamic Maghreb. The organization was able to strengthen its positions in the north of Mali thanks to its flexibility in terms of realizing its political goals and its well thought-out tactic of cooperating with clans living in the region. Carrying out operations in regions with a predominantly Tuareg population required that the national features of the local people be taken into account, which led the Salafi group to appoint representatives of the Tuareg population as regional emirs. Attempts on the part of the French to liquidate Iyad Ag Ghaly have thus far been unsuccessful. Rumour has it that he is currently residing in a camp near the city of Kidal. In 2013, the United States and the United Nations imposed sanctions on Iyad Ag Ghaly, and Ansar al-Dine was banned in the United States. Ansar al-Dine has long funded its activities through kidnapping for ransom, and arms, drugs and cigarette trafficking. Despite the efforts of MINUSMA (11,200 troops and 1,440 police officers) and the 4,000-strong French contingent that is present in northern and central Mali, the situation had become much worse by early 2014. The UN Security Council saw this as evidence that the terrorists and other armed groups had reorganized and to some extent regained their ability to carry out military operations. In response, the Security Council once again called for comprehensive and credible negotiations to be set up, with all communities living in northern Mali being invited. On February 3, 2014, a UN Security Council delegation arrived in Mali to try and help move the stuttering peace talks forward. The members of the delegation held a series of discussions with the country's leaders, representatives of the military groups that signed the June 2013 peace agreement with the government, the Timbuktu and Gao local authorities, refugees, young people, etc. The purpose of the meetings was to prepare a plan of action for a national dialogue, the disarmament of former fighters, the decentralization of power, and the creation of a Truth, Justice and Reconciliation Commission. However, the prospects for settlement of the military and political crisis in Mali in the near future are slim, despite the efforts of the international community. The inability, or unwillingness, of the ruling elites in the Sahara–Sahel zone to resolve regional ethnic and inter-faith problems and start developing the peripheral areas, coupled with the weakness of state institutions, systemic corruption, mass poverty, etc. and the absence of a feeling of national identity among the people of these countries – which essentially amounts to the absence of legitimate governments – create the foundation for the further destabilization of the countries in this region. Radical Islamic groups that actively work together are playing an increasingly significant role in this process, as are alliances between Jihadists and drug traffickers and other criminal syndicates, all with the aim of financing their terrorist activities. Project produced by: Daria Khaspekova, Maria Gurova, Aleksandr Teslya and Dmitriy Puminov.